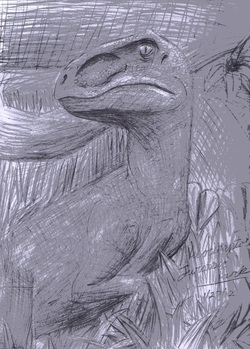 Because of my love for Jurassic Park, I decided to try my hand at the movie's version of the swift hunter, Velociraptor. While it is not bad, the proportions in the face are off. However, I do like how the texture in the skin came out.